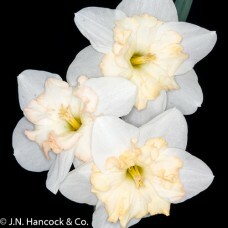 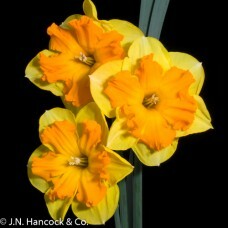 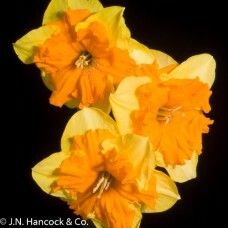 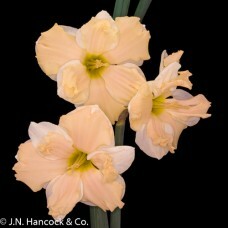 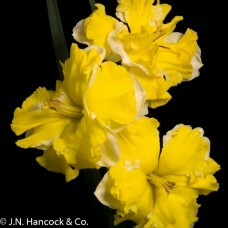 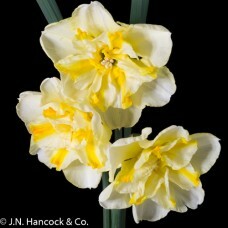 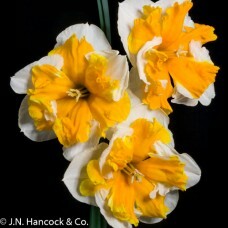 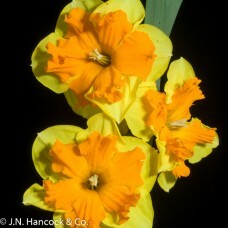 Daffodils with unusual and spectacular flowers. 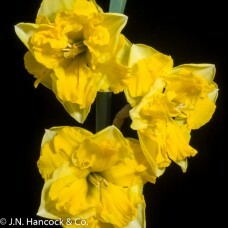 The trumpet or cup is ‘split’ into its six natural lobes which are spread back across the petals. 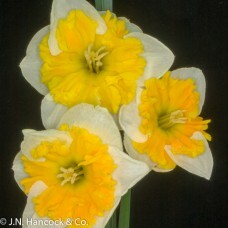 A magnificent papillon split; citron-yellow petals and self coloured corona intriguingly marked wit..
A truly unique split-corona bloom; the three-lobed bright orange corona contrasts with the pure whit.. 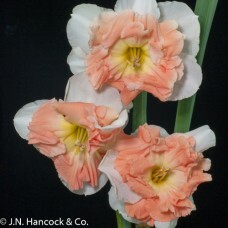 Stunning large split-corona. 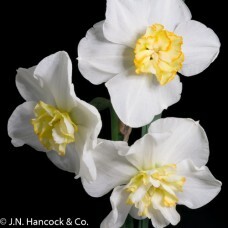 The ivory-white perianth is smooth and flat and the ruffled corona is a..
An upright refined flower. 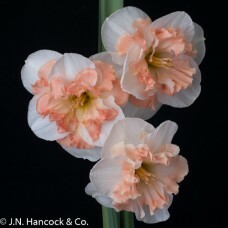 The spreading split-corona of mid-yellow almost totally obscures the whi..
A very attractive round flower with a bright orange frilled split-corona against golden-yellow peta..
Eye-catching and enchanting bloom with a beautiful, soft clear-pink split corona that lies back agai.. 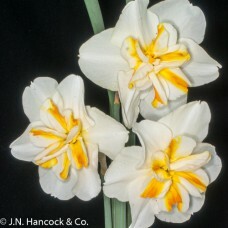 Striking bloom with well-formed white petals contrasting with the mandarin-orange split-corona that ..
A unique butterfly-split. 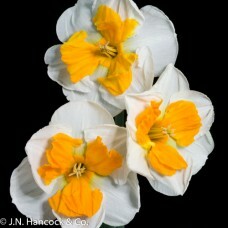 Nestled amongst large white petals, the yellowish banded corona matures to.. 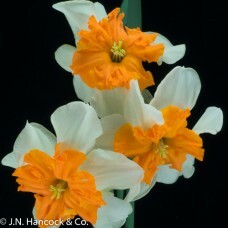 Striking beautiful open segmented split-corona has radiating spokes of cream, yellow and orange; whi..